Added by Indo American News on June 19, 2015. Among the Murty Classical literary works is Sufi Lyrics: Bulleh Shah, selected and translated by Christopher Shackle. BOSTON: Diversity in India is nothing new. Whether it is language, religion, cuisine, etc., diversity is celebrated. The same can be said about the Indian classics. And in an effort to preserve and venerate this idea, Harvard University Press, along with the Infosys Murthy family, have teamed up to create the digital Murty Classical Library of India. The library was funded by Dr. Rohan Narayana Murty. Even though Dr. Murty has studied and focused on complex computing systems and wireless networking, he has maintained his interests and commitment to history, language, and the Classics. So, in 2010, while he was studying for his Phd in computer science, he came to the aid of Professor Sheldon Pollock in founding the library. Dr. Murty is the son of Narayana Murthy and Sudha Murty of Bangalore, India. The family has a long history of supporting education and scholarship in India and abroad. Professor Sheldon Pollock will serve as General Editor of the library. Professor Pollock is the Arvind Raghunathan Professor of Sanskrit and South Asian Studies at Columbia University. 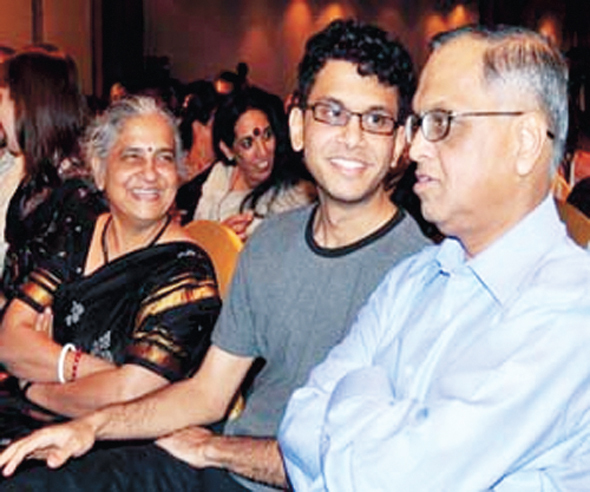 Rohan Murty (center) with his parents Sudha and Narayana Murthy. He has not only authored numerous books about South Asian culture and Sanskrit language, but has also received several awards and titles including the Distinguished Achievement Award from the Andrew W. Mellon Foundation and, from the Government of India, both the Presidential Certificate of Honour for Sanskrit and the Padma Shri. He is also a fellow of the American Academy of Arts and Sciences. 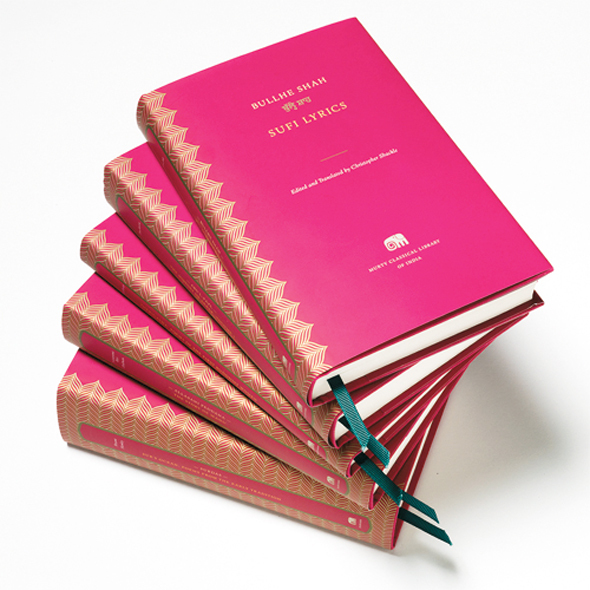 The Murty Classical Library of India, which has now already released nine multi-language classics, will include not only Sanskrit texts but also works in Bangla, Hindi, Kannada, Marathi, Persian, Prakrit, Tamil, Telugu, Urdu and other languages. Projected to reach some 500 books over the next century, the series is to encompass poetry and prose, history and philosophy, Buddhist and Muslim texts as well as Hindu ones, and familiar works alongside those that have been all but unavailable to non-specialists. So for those of you interested in taking a break from books on the Indian economy, Gandhi biographies, etc and go back to the classics, check out the Murty Classical Library of India. Not only will you be able to read in your own language, you will be treated to classic works that have survived invasion, colonialization, globalization, and have captured the true diversity of India.